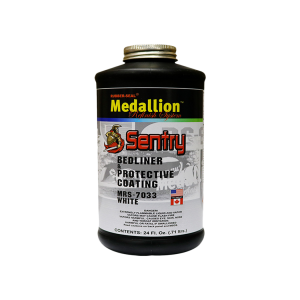 Sentry Bedliner restores and protects pickup truck beds, floor pans, trunk interiors and other worn surfaces. Sentry Bedliner and Protective Coating is a durable, two-component urethane coating that is easy to use and provides a textured, satin finish that makes any surface look brand new. It has excellent UV and chemical resistance. Sentry not only out performs the current market leader in impact resistance and durability but, also comes with 20 percent more material, providing you with the greatest bang for your buck!